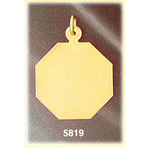 Indulge in a 14k gold octagon engravable pendant that will do all the talking for you. Sun drenched gold illuminates the surface of the octagon shaped pendant that features a dazzling high gloss polish. 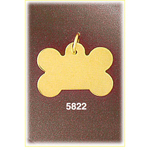 Finished with your custom laser engraving and spectacular birthstone setting and you've got a one of a kind accessory that will make every occasion a memorable one. 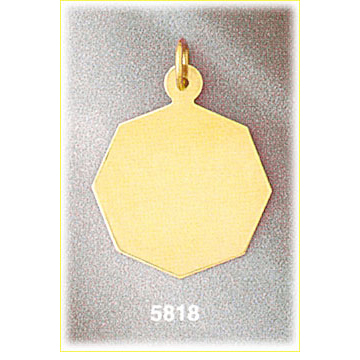 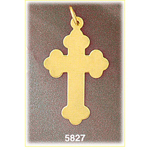 Pendant is crafted in 14k yellow gold featuring a polished finish with flat back, it measures approximately (24mm - 1") in width by (22mm - 7/8") in height and weighs 2.8 grams, it is recommended for necklaces.